NEWINGTON - Personalized care using a whole person approach and one-on-one individualized therapy is what you can expect when you make an appointment with Taylor Therapy Center. Founded in 1983 by Joan Alice-Taylor, the center moved from Newington center to 9 Elmwood Court in 1989. Taylor Therapy Center is a private practice which focuses on the holistic approach encompassing body, mind, and spirit in recognition that there is more than just the physical body that needs the therapy. Within the center are psychotherapy, massage therapy, physical therapy, and a medically oriented gym. The center is a rehabilitation agency designed for all people of all ages. It provides a more “in-depth treatment plan that is more attune and alert to the emotional aspects of what patients deal with as they rehabilitate from surgery, a medical issue, or an injury,” Taylor states. She teaches her staff that it’s more important to “educate people in order to help them understand and realize that they can have a better life by understanding themselves as well as using their bodies more effectively and efficiently.” Taylor believes this is the key to long-term healing. The center stays current and relevant by having staff continuously engaged in learning, and sharing experiences with each other to enhance the care they provide. Maintaining continuity of care, utilizing manual therapy techniques and procedures along with traditional interventions are cornerstones of the commitment made to the patients and clients served. Taylor also believes that in order to fully treat the person you have to understand the whole person, providing physical therapy plans that help them recover and feel empowered. Her facility also practices psychotherapy- counseling services that assist individuals, couples, or families with trauma, difficult emotional pasts and sorting through difficult life challenges that they may be facing with techniques and practices that are designed to improve a client’s mental well-being. Massage therapists are also available to assist clients with improving body awareness, managing their stress, relaxation and restoration. The gym offers supervised exercise programs for those who are reluctant to go to a regular gym or who have physical or medical issues that require supervision of their exercise program. 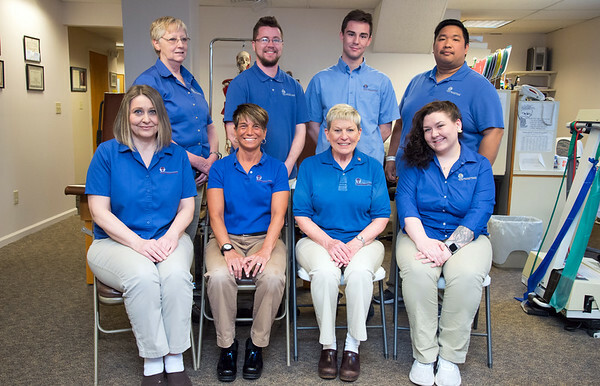 The center’s staff makes it their goal to play an active role in their community by advocating healthy methods of pain management and consistently providing great service to their clients. The center is open Monday to Friday, 8 a.m. to 8 p.m. For more information call 860-953-1204, or visit the center online at www.taylortherapy.com . Posted in New Britain Herald, Business, , Newington on Tuesday, 2 April 2019 18:34. Updated: Tuesday, 2 April 2019 18:37.